You inspired me; You inspired Doobert; Together we can save more animals! Home arrow_forwardThe Doobert Caretakerarrow_forwardYou inspired me; You inspired Doobert; Together we can save more animals! You are a lover of animals and you have chosen to volunteer to help prevent unnecessary euthanization by volunteering to transport, photograph and serve as a temporary foster home to these furry companions. Like you, I have a passion for animals and my desire to help even more inspired me to create Doobert as the ONLY software platform focused on saving animals. Because of you, the Doobert platform has been around for more than 5 years. It’s quite a milestone and one I could not have achieved without injections of inspiration along the way from so many of you. We have formed a community of like-minded volunteers with a passion and dedication to saving animals. I know I do not have to tell you how hard animal rescue can be. So much drama, negativity and seeing the worst side of human beings that many people drop out of the movement for their own mental health and well-being. As a result there are not enough thank yous, appreciation and recognition for those that put in long hours in a variety of capacities to help our animal companions along their journey hopefully to their furever home. When was the last time you reflected on those that have inspired you over the course of your animal rescue career? Have you stopped to reflect on those people who inspired you in some way to do more, keep going or even to maintain the flame of passion that you ignited once upon a time when you entered the animal rescue world? 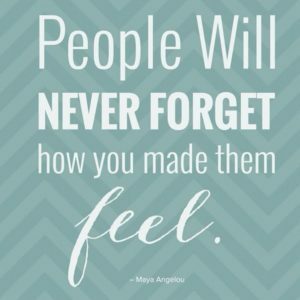 Did you thank them and let them know how they inspired you? Did you share with them the deepest corners of your heart where you store these gems of inspiration to keep you motivated during your darkest hours? This should be something you do on a regular basis because passion feeds on itself. The more that you reflect on why you do what you do for the animals, and how others have inspired you to reach even higher, the more that you will want to do. Send a thank you note to those that have inspired you. 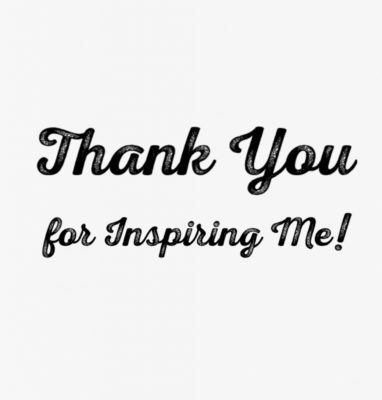 I have many people that I want to thank for being my inspiration over the years. There are inspirational people that taught me new things; inspiring people that challenged me to achieve even more, and those that bring a smile to my face just thinking about them. Just the act of writing this post has inspired me to take my own advice and to let each of them know how much I appreciate them and how much they have inspired me. I sent each one of them a note this morning. Nothing fancy or inspirational. Nothing wordy or worthy of publishing. Just a simple thank you to let them know that they inspired me. Your simple act of thanking someone who was an inspiration to you can help to build and fuel the next generation of animal rescuers. We can be their inspiration just like those before us have been our inspiration. What are you doing to recruit friends, family and even co-workers to join the animal rescue cause? Send them a note thanking them for inspiring you and inviting them to join the movement as a Dooberteer. 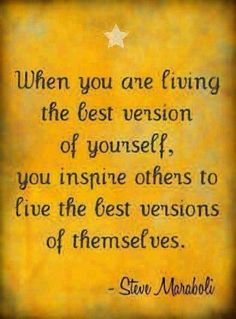 Who has inspired you? Send them a note right now letting them know! You might just ignite and inspire them to help save more animals and pay it forward!